Our rope barriers not only look really stylish, but they’re often a requirement in terms of health and safety. So, when you need to uphold fire regulations at your London function, you now have some very sophisticated options for those important crowd control management systems. It’s crucial for many businesses to make sure that guests and visitors can leave premises quickly in case of fire drills and alarms, for example. These sorts of rules might apply for larger functions or events of any size. When your occasion requires crowd control, you need look no further for chic barriers that ensure the safety of your visitors, but they’re also very stylish looking too - crowd control doesn’t have to be boring thanks to our rope barrier hire range! We have three main types available and although they are all solid, sturdy and very practical, they’re vary in design, allowing you to choose the best product for your event. When you want an elegant and very affordable item, then our chrome stretch barrier is perfect. This complements so many different events, and we’ve often delivered them throughout the city for larger and smaller occasions, from massive sporting occasions, to product launches, fashion shows and concerts. 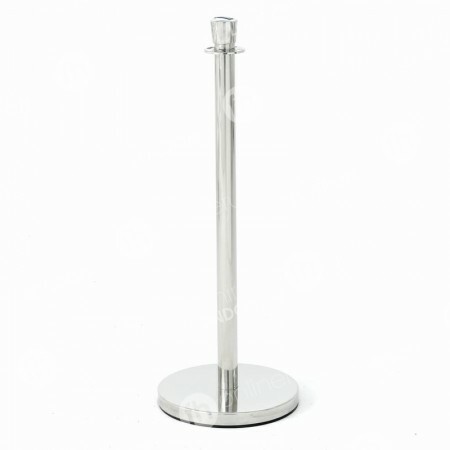 The chrome post and blue webbing is very stylish and fits into all these functions and more. As well as having an elegant design, our chrome stretch barriers are easy to stack so transportation is extra affordable and they have a fantastic solid base. The webbing clips easily into place on barriers, and quickly retracts, great for when you want rapid set ups, and when you using this product for venue entrances and exits. Another top option for many occasions is our black stretch barrier. The classy finish and black webbing means this is a smart looking product, perfect for projecting a professional and stylish image. These make excellent choices for all manner of functions from sophisticated concerts, nightclub openings, galleries, exhibitions or any event where a classy vibe is crucial. Like with our chrome stretch barrier, the webbing is quick to release and retract, as well as being very robust. We haven’t forgotten that there are some occasions that require some real glitz and glamour. These could include VIP parties, award ceremonies, televised events or even a wedding. 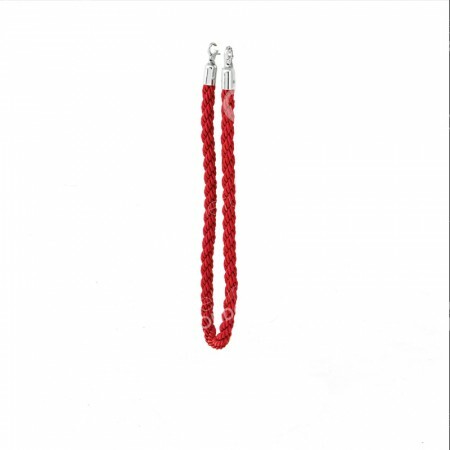 For those very special parties we have our red ropes and poles, combined together they make an ultra-sophisticated impression - perfect for all those red carpet scenarios! Another top location for our red ropes and chrome posts is around precious exhibits - like expensive new products, or historical artworks - where they stylishly show no-go areas around them. As you can see crowd control doesn’t have to be boring - in fact, when you choose our products crowd management can be super chic and affordable too.